I was very lucky to have a mom who was not only a great mom, but a great cook too! I always enjoyed the holiday season because mom and the other wonderful cooks in our family tree broke out their mixers, cookie sheets and delicious recipes. 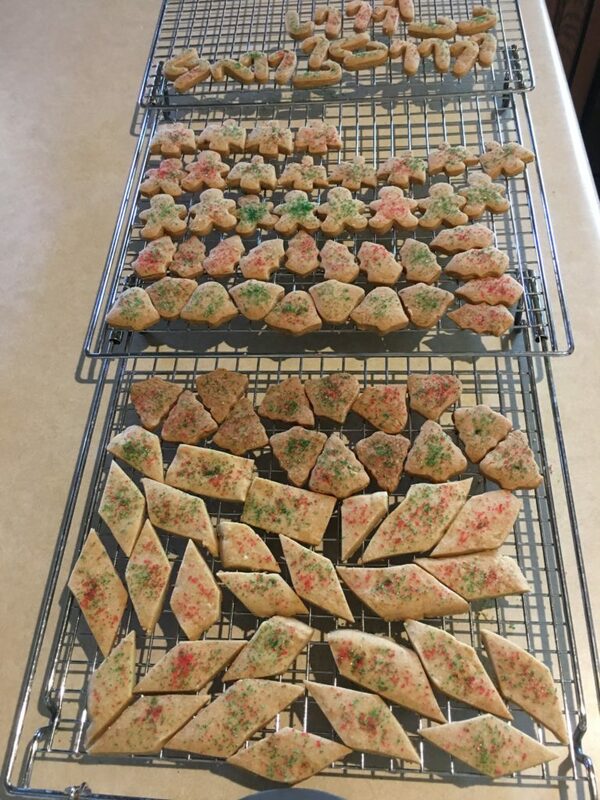 One of my all-time favorites was (and still is) my moms shortbread cookies. The key to these 3-ingredient cookies being so delicious is, once cooked, layer them between napkins in a storage container for two weeks. I know, that’s the hardest part; smelling them cook, looking at them when on the cooling rack then having to wait two weeks before you can eat one. I must admit, my mom had to hide these from me but I did still find them and sneak a few! The night before you decide to make these, make sure and take 2 sticks of butter out of the fridge and leave on the counter. This recipe requires soft butter! Mix softened butter and brown sugar. Kneed for 15 minutes on a floured board. Roll out to 1/4″ thick. If you find the dough sticking, either use a bit more flour or roll out between wax paper. You can also cut into strips then into diamonds; this was Mom Mixon’s favorite way of making these. Place on cookie sheet and cook for 30 minutes. It is best to store these cookies for at least a week before eating them. Store in a container in layers, separating each layer with a paper towel or napkin. Wait, don’t sneak em! I promise, the wait will be worth it! And remember; Food is Love so Stay Hungry!